Constipation is a condition where the horse infrequently passes firm, dry manure. The manure may be mucus-covered and the horse will often appear to be in less than ideal condition with a rough coat and an unthrifty appearance. Although constipation is more common in older horses, it may occur in horses of any age. Constipation in horses is often related to indigestible or new feed, inadequate drinking water, bad teeth, deficiency of secretions including saliva, effects of medication, swallowed foreign materials, or the bolting of feed by the horse. .
Poor dental conditions leading to dental disease, improper digestion, and an accumulation of worm damage in the intestinal tract are the leading causes of constipation in horses. Worm infestations, with subsequent damage to the intestinal tract, may cause the digestive system to slow down and not function effectively. Overloading the stomach either with too much food such as finely ground grain, or food that is indigestible or not sufficiently chewed to digest easily can also cause hard, difficult to pass manure. Too little water or water that is too cold may also contribute to constipation. Occasionally, a horse will swallow foreign objects, including sand or farm supplies such as twine, that become trapped in the digestive system leading to obstruction of the bowels and causing constipation-like symptoms. Prevention of constipation in horses is best achieved by feeding quality feed products in the amounts and at times necessary to maintain the horse's health and well-being, along with providing access to an abundant supply of fresh water, except after vigorous exercise. When new feed is being introduced into the diet, small quantities should be fed until the horse's system adjusts. 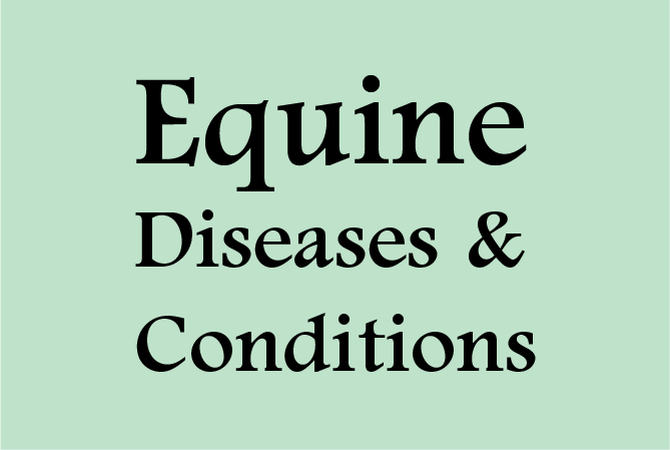 Keeping barn, stall areas, and pastures cleared of any foreign objects that might tempt a horse and restricting access to sandy pastures will ensure that the horse doesn't eat harmful substances. In addition, good dental health should be promoted by having the horse's teeth and mouth checked regularly by a veterinarian skilled in dental health care. Corrective treatments should take place as often as necessary to assure sufficient chewing of feed. Feeding hay and water before grain, and providing access to forage without over-grazing pastures, will help ensure the horse's digestive health. Changes in diet, exercise level, and management should be gradual. Regular treatment for worms should also be a priority. Treatment of any case of severe constipation should be prescribed by a veterinarian based on the cause and the condition of the horse. Generally, when the manure is hard and dry, the powdered form of dioctyl sodium sulfosuccinate can be added to the feed using a daily dose not to exceed 9 mg per pound of weight of the horse. Milk of magnesia is considered to be a safe laxative to give for mild to moderate constipation. Feeding a warm bran mash twice a week can be a good preventative measure, especially with older horses.